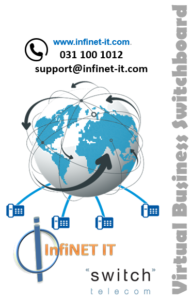 Hosted PBX service is a fully managed and customisable switchboard solution. There are no upfront costs because you do not need to purchase a physical device. The only cost to you for the Hosted Switchboard service is a monthly service fee. One of the key advantages is that extensions can be located either within a single office or at various remote sites. Each extension requires a VoIP-enabled telephone. If you want to work from home for a day simply unplug your phone from the office network, take it home with you, and plug it in at home; your calls will seamlessly follow your phone and you can still transfer calls to/from your colleagues as you would normally. 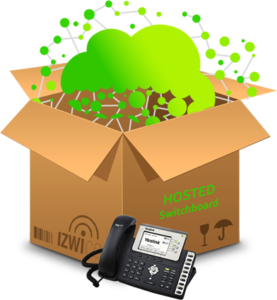 Incoming calls can hunt across extensions in different cities allowing multiple offices to function as one. Best of all, this service is much cheaper than the cost of purchasing or renting a traditional switchboard. 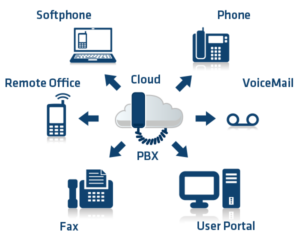 Hosted PBX offers functionality only found on the most advanced traditional switchboards at a fraction of the cost. R350.00 (incl VAT) per 10 Extensions? per month, plus Business VoIP Trunk, or? Business VoIP Trunk + Direct Dial-In? Real time expenditure analysis available for each user on the system. Switch Telecom local, national, mobile and International call rates. Switch Telecom offers a wide range of desktop and cordless VoIP phones.